Acme Bolt Seal security seal. Acme Seals Group. The Acme Bolt Seal is an ISO 17712:2013 (E) compliant high security bolt seal, designed for high value ISO container cargo shipments. 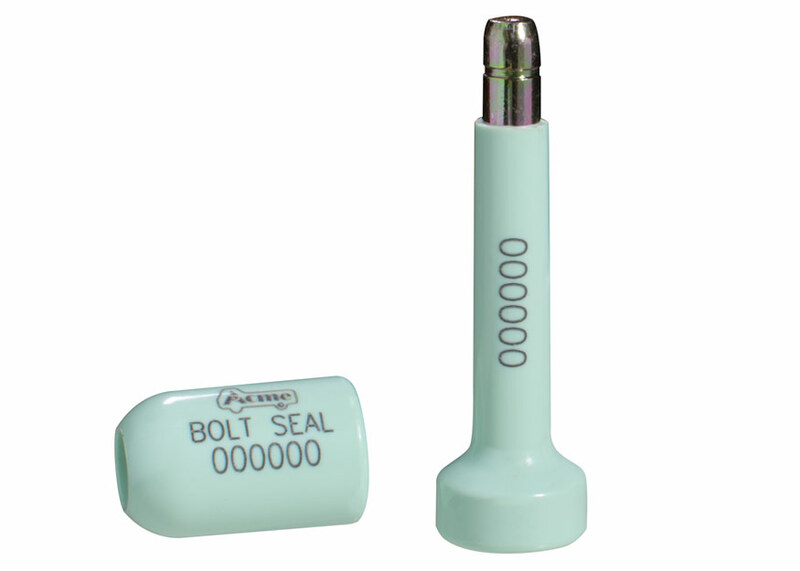 The plastic coated bolt and locking bush is laser marked with identical sequential numbers for added security. When locked the bolt spins freely to confirm seal integrity.